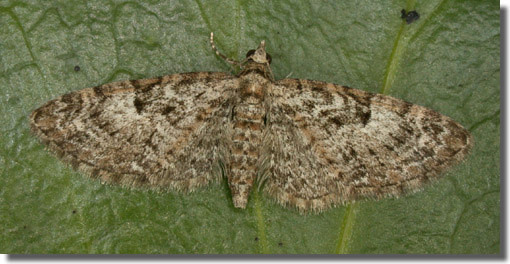 Notes: Common in oak woodland, mature hedgerows and scrub throughout much of England. 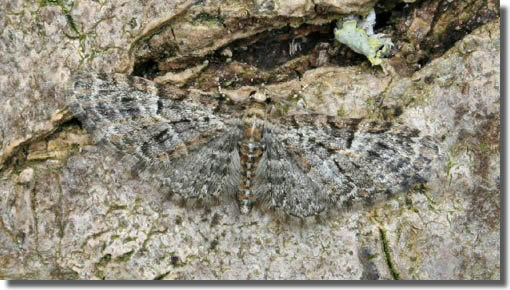 In Hampshire and on the Isle of Wight this species emerges just as Brindled Pug is coming to an end. 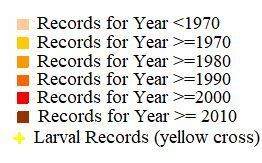 It is quite common in many places, and appears to have increased and extended its range in the area since the 1950's. 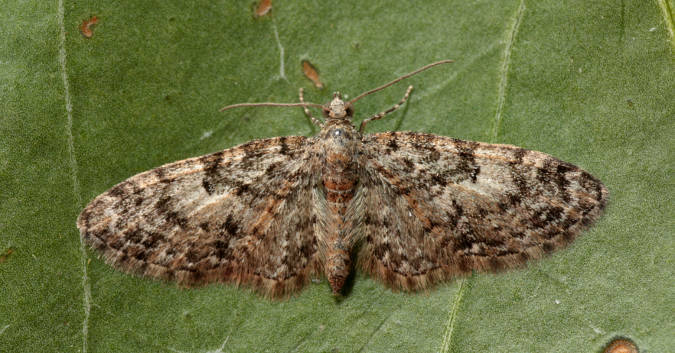 Wingspan 19-22 mm. 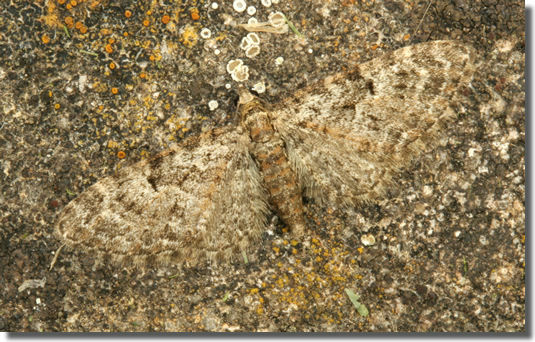 The most likely confusion species is Brindled Pug E. abbreviata, but Oak Tree Pug is smaller and paler, with a more prominent discal spot. 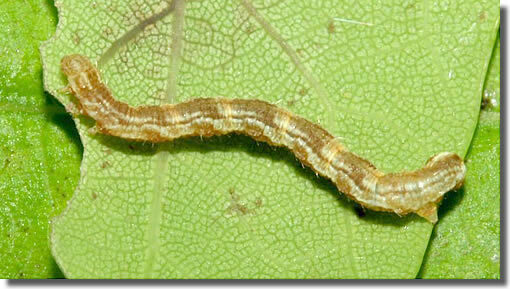 Larva feeds on Pedunculate Oak and Hawthorn, over-wintering as a pupa.